BBC filmmaker Martin Davidson confronts the fact that his grandfather was an unrepentant Nazi. 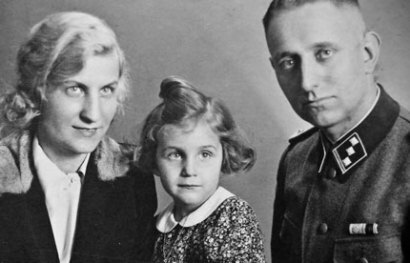 Bruno Langbehn with his wife Thusnelda and one of their two daughters in July 1941. “Bruno [Langbehn] may not have been a participant in the darkest of Nazi atrocities; there were many Nazis more heinous than he,” writes Martin Davidson in his biography of his aforementioned grandfather. But he was an early adopter (joining the Nazi Party in 1926, more than six years before Adolf Hitler came to power), and an ambitious storm trooper who hunted down and beat up dissenters. “[H]e was a very particular kind of Nazi, one whose story rarely gets told,” explains Davidson, a willing agent who carried out the policies of the top-level henchmen, one of countless obedient men who made the Nazi story possible. In the following interview, Davidson discusses his memories of his grandfather, his family’s response to the project and its conclusions, and why he characterizes Bruno as “The Perfect Nazi,” which not coincidentally, is the title of his book, recently released in the U.S. by G.P. Putnam’s Sons. What made you decide to begin researching the details of your grandfather’s life? It was a long process. In the weeks after his death I made my first major discovery, gleaned from my very reluctant and conflicted mother. Namely, that Bruno had not been a soldier conscripted into uniform, but in fact, had been an SS officer. What reaction did you meet from your family both before and after embarking on your historical journey? Of course, my mother reacted to the news that I intended to publish a book about her father’s SS career with anguish, extreme discomfort, and agonizing apprehension. But as the project grew and she saw for herself that I was researching it properly and avoiding sensationalism, she grew reconciled. By the end, her attitude had changed completely. Realizing the extent to which her father had subordinated the interests of his family to those of the Nazi Party enraged her so much that she turned to me and said: “To hell with him! I am done keeping his secrets.” It was a watershed moment. And the incredibly positive response to the book in Britain has convinced her it was the right decision, and now she feels—perhaps even more so than I—free of the burdens he bequeathed her. What are your memories of your grandfather? Snippets from very early childhood. He was tall and gaunt, always with a cigar and a brandy in hand. A man exuding bonhomie of a rather cynical sort—loud, magnetic, and definitely intriguing. Even before learning of your grandfather’s past, it seems you were leery of him. How would you have described him when you were a boy? I knew how on edge he put my mother. He enjoyed the drama that his visits created. He was never a retiring or avuncular figure, and even in old age he liked to dominate. He wasn’t a likeable man, but he was charismatic, opinionated, and exuded an aura of forbidden knowledge. Did your personal knowledge of Bruno help you understand the man that emerged during your research? Yes, to an extent. But the major conclusion I drew was that every decision Bruno made in his Nazi career—the search for belonging, for extremist views, for the vindication of those views in a program of action—was both emphatic and deliberate. Every milestone in his story—and for the Third Reich in general—involved, in my view, an evolving sense of direction and certainty. Of course, the Final Solution could never have happened without Bruno and men like him playing a key and terrifying role. What made Bruno the “Perfect Nazi”? The longevity of his career—which began in adolescence and was terminated only by defeat in 1945—the unshakeable convictions that motivated it, and the sheer variety of ways in which he chose to exercise his Nazi ambitions—as a storm trooper, an SS spy, snitch, and ideologue; as a health administrator, and above all, as a father and husband. The book illustrates how everyday people can get caught up in the tide of radical ideas. Was your grandfather different from most other men of his age and background? What made him different was simply that he was part of the leading edge. He joined [the Nazi Party] long before a national “tipping point” was reached, and did all he could to further its aims. Lots of ex-Nazis claim, in effect, that they were seduced to make a pact with the Devil. What I wanted to know was: What about the men doing the persuading, not just those who were too weak to resist? In a different time and place, could Bruno have been one of the “good guys”? The speed and totality with which he later adapted to life in post-war Germany proves that yes, in another time and place, he would have been fine. The thing about Nazis is the way they powerfully and deliberately combined the circumstances of their time with their own ruthless ambitions. Bruno’s problem was he believed he deserved to live in a racially-defined superpower. What drove him was pathological politics, but it was still politics. 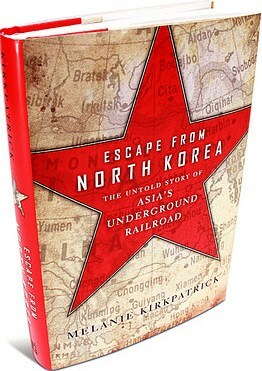 Escape from North Korea—The Untold Story of Asia’s Underground Railroad. 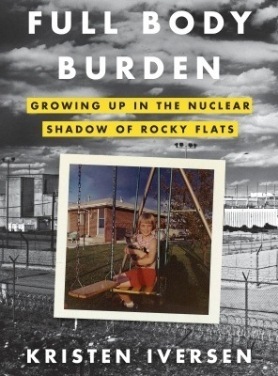 Full Body Burden—Living in the nuclear shadow of Rocky Flats. 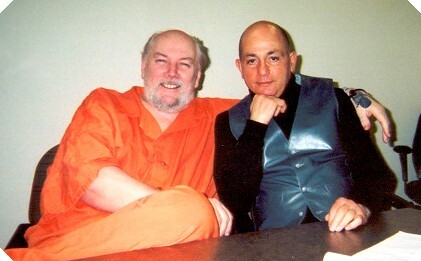 The Ice Man’s Greatest Hits—The life and crimes of cold-blooded hit man Richard Kuklinski, aka The Iceman.